It's extremely strong and durable and requires no maintenance to keep it in good condition. Biothane is washable, easy to use, and comes in a range of colours. 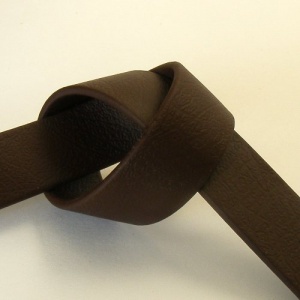 This listing is for 5/8" (16mm) Biothane Beta in Dark Brown. This width of Biothane Beta has a breaking strain of 283 kilos (625lb) It is 2.5mm thick. Available in 2 and 5 metre lengths.